Bell customers on the $105/month Voice & Data Plus plan should be aware the company has just doubled the shareable data from 3GB to 6GB. The move appears to match Rogers, which similarly offers a 6GB data plan as a promo (until March 12) for its $105/month Share Everything plan. Telus has not made any changes yet to match these promos. If you’re on these plans, be sure to call in and get your extra data. 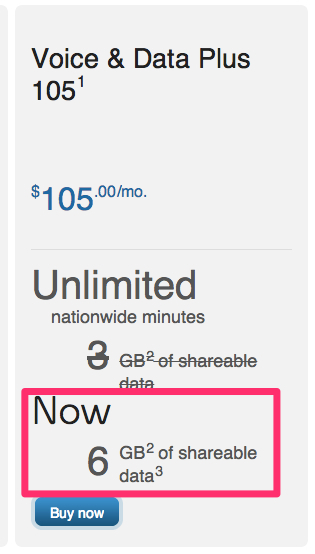 Update: It appears the 6GB promo has been ongoing and not new as of today; it expires on March 13.